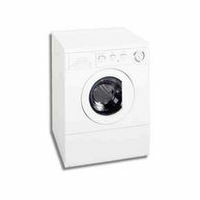 We saw what you said about a Leak from a Frigidaire (Kenmore 417.xxxxx) Front Loading Washer. It appears the door is holding water. There is a slow trickle of water leaking out. Would this more likely be the door seal boot? Back so soon? Ok, with that crash course in washer anatomy, let’s light this candle with the simple stuff, first. We’ll start behind the washer… oh, cut it out! … where the two water fill hoses connect. They’ll connect from the shutoff valves at the wall to the water inlet valve on the back of the washer. Lay some heavy-powered eyeball action, aided by the brilliant illumination from the halogen search beam you’re using, on both ends of those fill hoses looking for any sign of water. And, by the way, if your fill hoses look like this, well, you and ol’ Brother Noah ’bout to have something in common… ‘cept he had forewarning; but now you do, too! Awwite, ever-thang looks good with the fill hoses, so now we pop that front kick plate, like ahso. We’re looking for evidence of leaking from either the tub boot or from the tub gasket. Here’s a thought question: since the tub boot is right up front, and if it were leaking, where would we see signs of leaking? Ooo, you’re good! If your tub boot is leaking, this excerpt from the service manual should hepya replace it. Ok, here’s a tougher one: given that the tub gasket goes all the way around the tub, where would you expect its characteristic leak pattern to be? That’s a little less obvious, but this post explains what to look for and a minimally-invasive procedure that may fix it. Finally, I have also seen, on rare occasions, where a bra wire pierced the pump suction boot and created a leak. 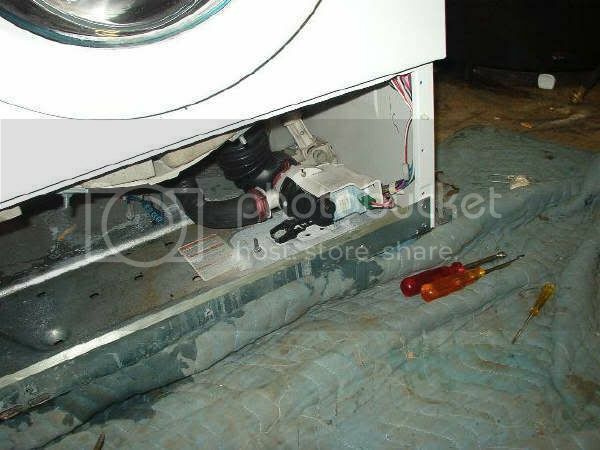 This entry was posted in Washer Repair on October 29, 2005 by Samurai Appliance Repair Man.